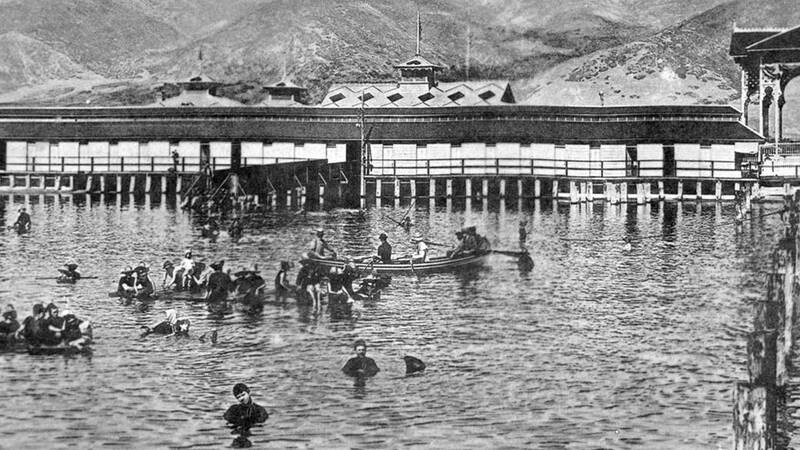 Originally called Lake Park, the resort that would become Lagoon opened on the shores of the Great Salt Lake on July 15, 1886. 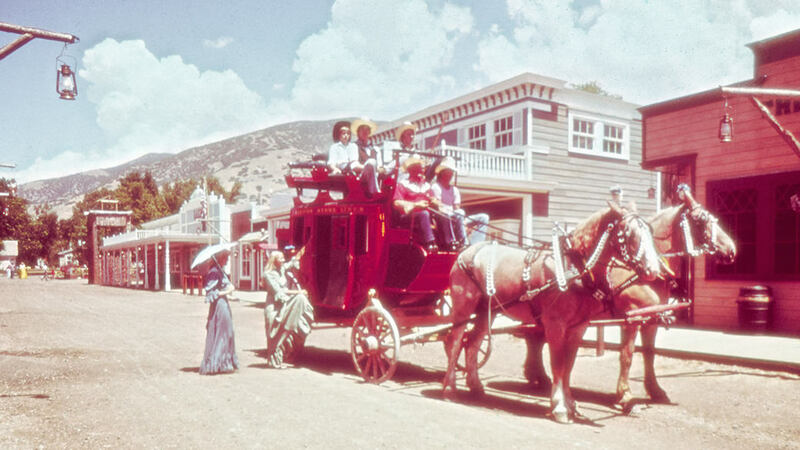 Visitors enjoyed an open-air dance pavilion, roller-skating, water sports, target shooting, a bowling alley, and a mule-drawn merry-go-round. Lake Park was eventually moved east to Farmington, Utah, along the banks of a nine-acre pond that inspired the park’s name change. In 1899, Lagoon introduced its first thrill ride, Shoot-the-Chutes, sliding boats full of thrill-seekers down a ramp and splashing into the water. Built in 1893, Lagoon’s Victorian-era Carousel features 45 hand-carved horses and other ornate characters. 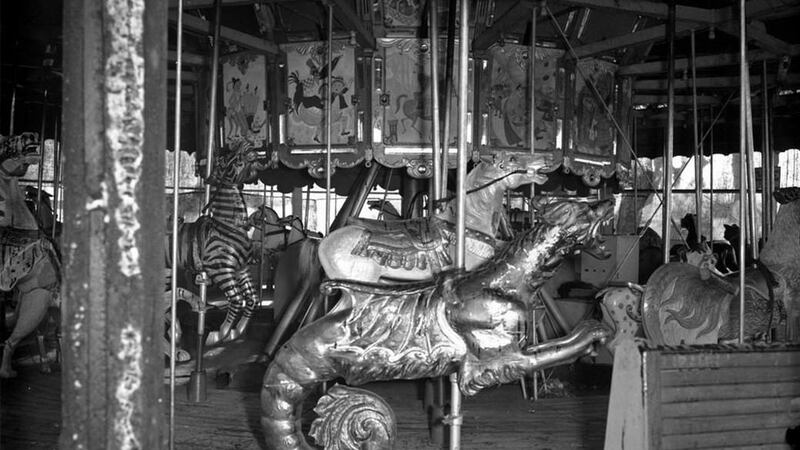 The Carousel was installed in 1906 and is still in operation today. With the arrival of the Roaring Twenties came the Roller Coaster, an out-and-back ride with 2,500 feet of track, hills rising to 60 feet, and a top speed of 45 mph. Lagoon’s Roller Coaster is one of the oldest operating wooden coasters in the world. Summertime swimming became even more refreshing with the installation of a million-gallon swimming pool just north of Lagoon Lake. Touted for “water fit to drink,” it was the first filtered swimming pool west of the Mississippi. Disaster struck in 1953 when a fire destroyed much of the park. 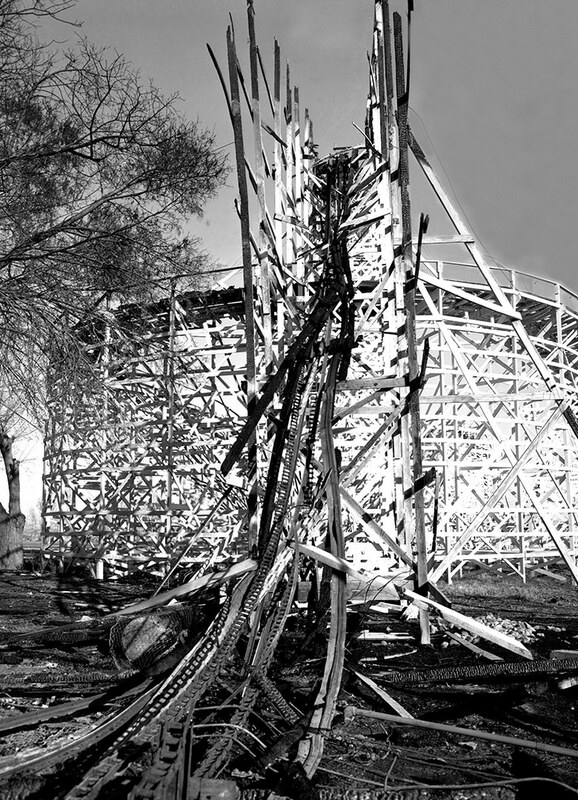 Half of the Roller Coaster was burned, and the Carousel still bears faint scorch marks. 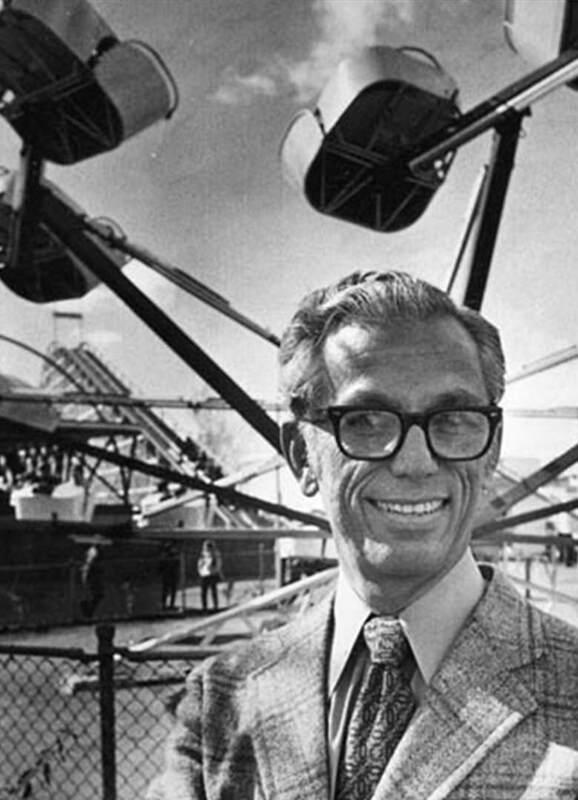 Park manager Robert E. Freed immediately vowed to rebuild Lagoon to be bigger and better than ever. 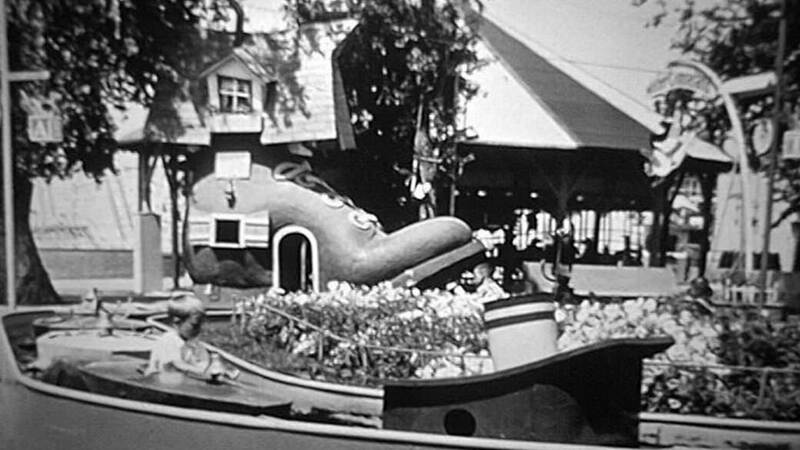 Lagoon was quickly rebuilt and new attractions began to appear, including Mother Goose Land, a themed area for children. Today, youngsters still have a special place, with rides just their size, at Kiddieland. During the 1950’s and 60’s, the park became a concert hot spot, drawing many famous entertainers. In 1960 alone, Louis Armstrong, Johnny Cash, Ella Fitzgerald, and Duke Ellington played for the crowds. Lagoon’s innovative leader, Robert E. Freed, was also a well-known civil rights advocate honored by the NAACP. He fought town ordinances banning African-Americans from parts of the park, ultimately allowing all races to enter Lagoon without restrictions. 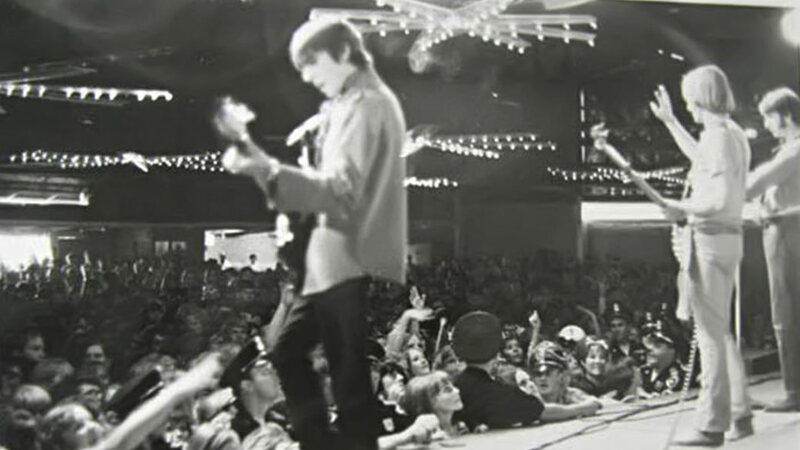 Lagoon peaked as a rock-and-roll venue when the Rolling Stones played in July 1966. The Doors, Janis Joplin, Jimi Hendrix, and other rock stars made appearances over the years, and the Beach Boys even mentioned Lagoon in their song, Salt Lake City. Broadway-style performances came to Lagoon during the summer of 1968, thanks to the opening of the Opera House. Guests were treated to hit plays, such as Joseph and the Amazing Technicolor Dreamcoat, and A Funny Thing Happened on the Way to the Forum. Pioneer Village brought Utah history to life with the relocation of authentic pioneer and Victorian structures. The village is packed with historic buildings and antique treasures, including a world-class gun collection and Summit County’s first two-story home. Colossus the Fire Dragon arrived in 1983, giving riders a firsthand physics lesson with wild, 65-foot inversions. The double-loop thriller was voted one of the top 10 coasters in the country by People Magazine. Lagoon-A-Beach water park replaced the original swimming pool in 1989. From floating in the lazy river, to speeding down slides and winding tubes, the water park added endless ways to beat the heat. The ever-growing list of thrill rides got a major addition in 2007 with the installation of Wicked. This first-of-its-kind coaster launches riders up a 110-foot tower at 55 mph, then down through a twisting 2000-foot track. 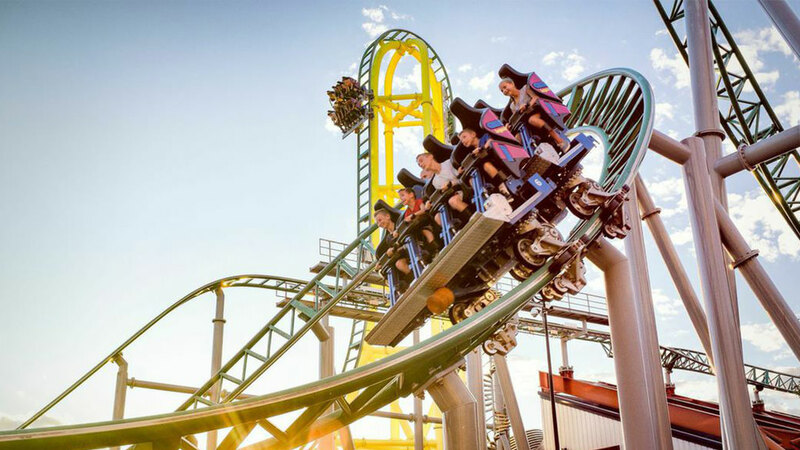 Debuting in 2015, Cannibal is Lagoon’s biggest and most thrilling coaster to date. The $22 million, one-of-a-kind ride boasts a 208-foot tower, a 116-degree inverted dive, and whopping high speed of 70 mph.